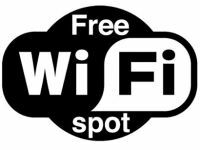 Azerbaijani Communications and High Technologies Ministry developed an action plan to deploy Wi-Fi access in Baku, a source in Azerbaijan's telecommunications market told Trend on June 23. The source said that currently discussions are underway on the aspects of the action plan's implementation. The works for expansion of the wireless Internet access will start shortly. The project for deployment of the wireless access is included in the ministry's action plan on preparation of Azerbaijan's telecommunications infrastructure for the First European Games - Baku-2015. "The project is large-scale and provides the coverage of all public places in the capital with free Internet access via Wi-Fi. Internet will be available in parks, stadiums, shopping centers and others. The created infrastructure will be in the future used to provide continuous Wi-Fi services," the source added. Wi-Fi is the most appropriate technology for users, as there are lots of devices in the market (laptops, phones, smart phones) supporting this standard.